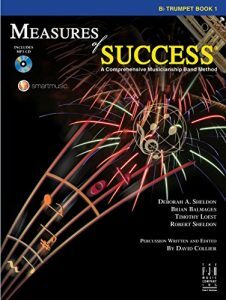 Measures of Success, Trumpet Book 1 is a consistent best seller, and is a must-have for any trumpet player, of any standard. Measures of Success was created to stir people’s musical curiosity, to improve both an individual’s conceptual knowledge and also their performance skills. 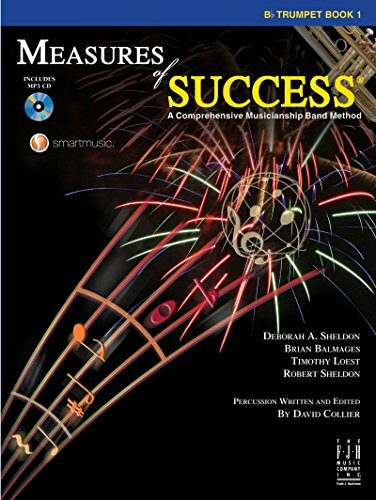 Measures of Success Trumpet Book is divided into six chapters, with each chapter followed by a full-page assessment. Students are able to attain achievable benchmarks with this method, improving their skills and motivation chapter by chapter. Music history is presented simultaneously with art, literature, and world history, giving students a broader picture of the social and artistic events happening of the age. Composer pictures, artists, paintings, authors, literary works, world history, and fun facts are presented throughout. The two play along CDs feature demo and performance tracks with professional musicians. All exercises are played twice by professional musicians; first with the student line, then the accompaniment alone. 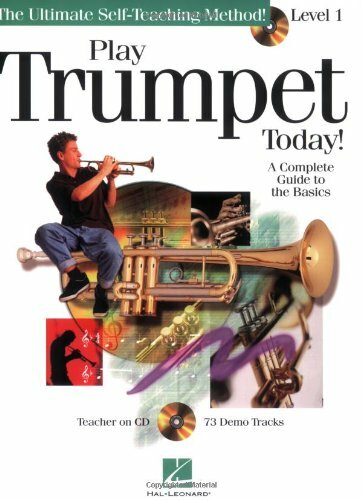 Accompaniments include live musicians, amazing orchestrations, and a wide variety of styles including concert band, full orchestra, rock, Latin, jazz, funk, country, electronic, and world music. 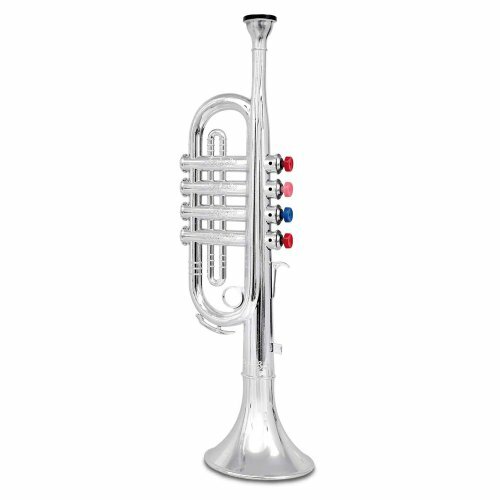 Classical pieces are presented with accompaniments that put them in their original context. Percussion-specific CDs let percussionists hear a characteristic sound of every Instrument with the wind instrument moved into the background. Critical Listening, Playing By Ear Theory and Terminology Composing / Arranging Performance. You will enjoy a wealth of classical and world music representing over 20 composers and 17 countries, with 15 pieces for a full band as well as duets, rounds, and 2 solos with piano accompaniment. 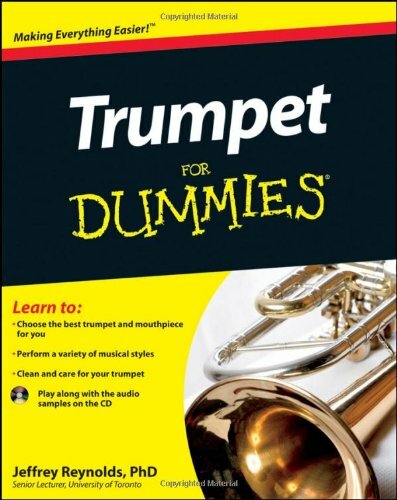 Additional learning including conducting, rhythm review, clapping exercises and scales makes Measures of Success, Trumpet Book 1 a must-buy.